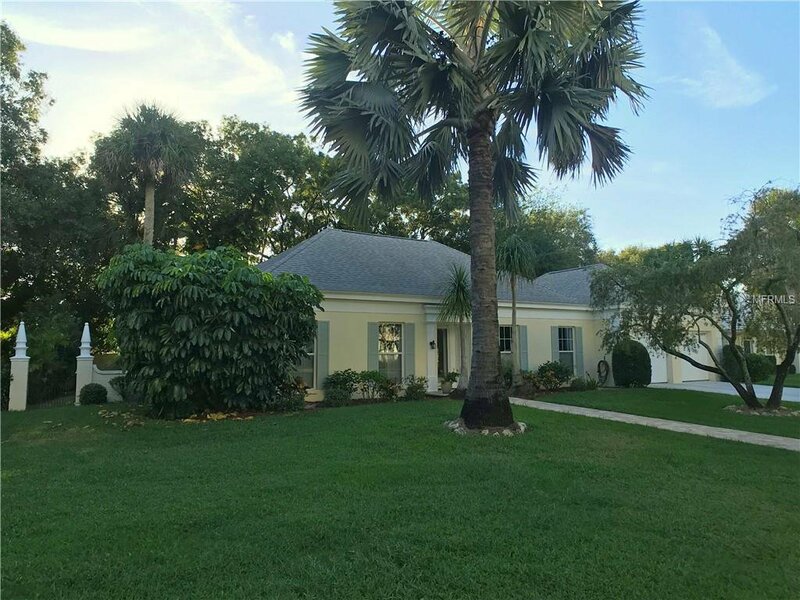 Set in the idyllic gated canopied enclave of Boca Royale, you will experience the serene setting immediately as you are surrounded by 200 yr. old trees on the lot and sheltered by an assortment of Oaks & Palms.... this special home will impress you from the start. You can't find a better location and the inside is as good as the outside! Greeted in the wide deep foyer with hardwood floors, crown molding and updated fixtures with impressive textures, finishes and colors thru out. At 2,000 sq. ft. this is one of the largest Villas in the original Englewood Golf Villa community, which has it's benefits within the association. Large deep 2 car attached garage with a bonus heated room for virtually any use and access to the back screened porch patio surrounded by lush landscaping and a paver patio. Almost all windows replaced, HVAC updated and hot water tank. The Granite kitchen with beautiful cabinetry is a wow. A Florida room with custom built-ins makes for alternative living space. Master bed and bath with an updated tile shower. Let me give you a private tour of this truly wonderful property and make it your new home! Listing courtesy of KELLER WILLIAMS CLASSIC GROUP. Selling Office: CENTURY 21 SCHMIDT REAL ESTATE.